Fibreglass composites are widely used for mass transit vehicle components. FGS Composites produce both interior and exterior parts for new construction and retrofits. Because our capabilities include a range of materials and processes, we can support specific requirements for fire retardancy, electrical conductivity, cosmetics, aerodynamics, durability and weight. Composite materials give full freedom to engineers to bring their concepts into practice. 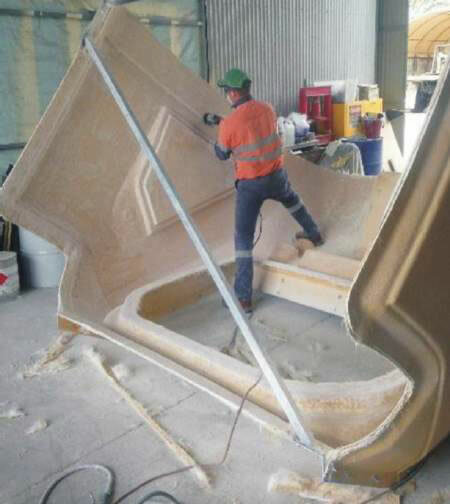 Large side panels combining constant quality and strength can be made. With composite profiles it is possible to achieve an optimum combination of large complex shape with thin enough walls for weight saving, excellent surface quality for overall appearance, and adequate fire performance for passenger safety. The thermal insulation properties also give benefits in air conditioning ducts or heating channels. Downer EDI Rail and Bombardier – Static and live simulator manufacturing and installation. Prototyping of train interior and locomotive fronts. Repair and modification of train passenger car FRP components. 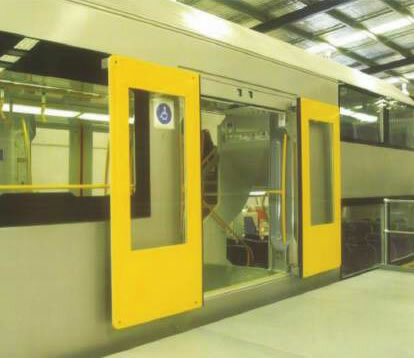 Queensland Rail and Aurizon – Locomotive soundproofing panel design and production. Futuris – Train passenger seat production and modification.